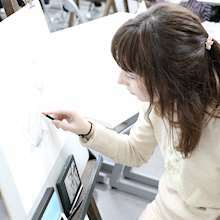 YDC is a visual and art design vocational school located in the heart of Yokohama. 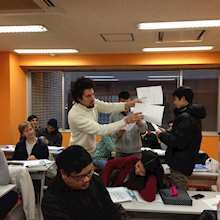 Since it is primarily a Japanese vocational school, there are Japanese high school and vocational school students studying in the same building as Japanese language students! This is a great opportunity for students to interact with Japanese students and improve their Japanese. Any YDC student is welcome to attend open courses that are offered. You will be given the opportunity to sit in various art and design courses, music courses, and even dance. Learn more than just Japanese in these different courses that all YDC students can attend. Japan’s second largest city by population, Yokohama has many things to offer to tourists and residents alike. You won’t be disappointed with the city lifestyle that Yokohama has to offer without being too far removed from Tokyo. Yokohama station and Minato Mirai are popular hangout spots for young Japanese locals, so there’s plenty to do, see, and buy. Located right on the bay, Yokohama feels spacious and refreshing. From Yokohama station, you can reach Tokyo or anywhere in Kanagawa prefecture with relative ease. Also within the city of Yokohama, you have Minato Mirai, Chinatown, and beautiful Yamashita Park. Language students are able to sit into various “open classes” that regular vocational school students attend. Although they are offered only for a limited time, it is a great way to experience classes in art, design, music, and more. Note: The total course costs in these charts includes class time, staff guidance and school activities. For long-term students (6 months or more), it also includes extended student insurance and textbooks.